The LogStomper FX Steel sets the standard in forestry tires with 23 degree tread bars, more lugs and wider lugs than the competition. It also features side bar protection and reinforced sidewalls. The LogStomper Fx is the toughest forestry tire available. 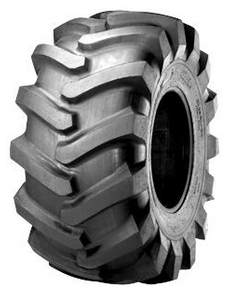 Logstomper tires are used on tractors and forestry machines like forwarders, harvesters and log skidders used in harvesting trees in tree farming operations.